A couple weeks ago, while I was teaching in Dayton, I found myself talking about something I always end up talking about while teaching classes - my Ishbel shawl addiction of a few years ago. 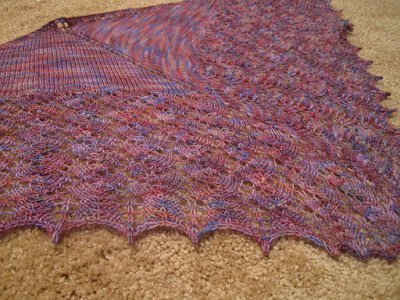 While it wasn't the first shawl I've knit, it was definitely one of the first shawls I fell for. HARD. The first one I made was out of a Socks That Rock Mill End. I would actually recommend this for first time lace knitters. I think the charts are pretty easy and you can easily tell if things are lining up (all those double decreases are piled right on top of each other). 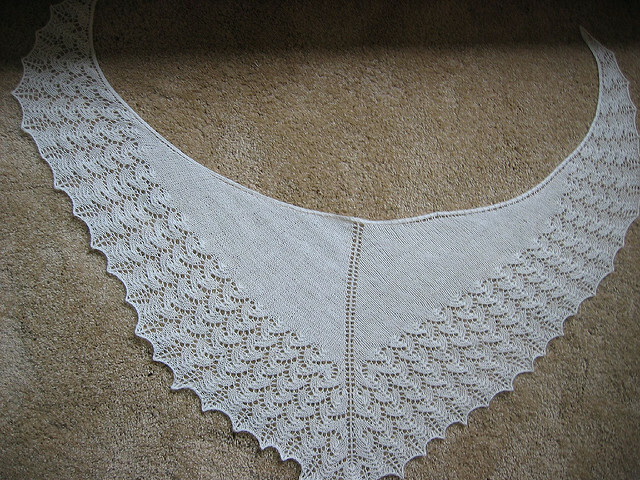 I never had to tink back more than 5-10 stitches (opposed to other lace when I am ripping rows and rows out). 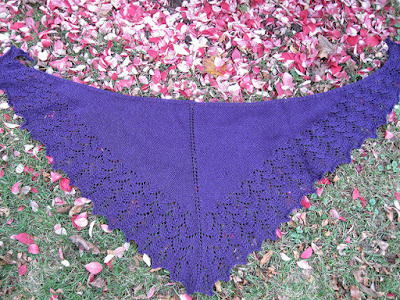 To this day, I recommend this pattern for new shawl knitters! 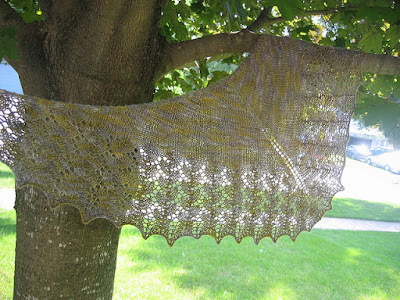 The Ishbel love continued when I made a worsted weight version during a KAL at an LYS that sadly has closed since then. No matter the true number of Ishbel shawls I've made, it obviously made an impact on me. I still love wearing that first one every now and then to this day.